We already had a rough release date for the Firestorm, and a new trailer for upcoming updates gives us just a tiny tease of what’s coming. Specifically: tractors. Yes, you’ll be able to drive farm equipment in Firestorm. 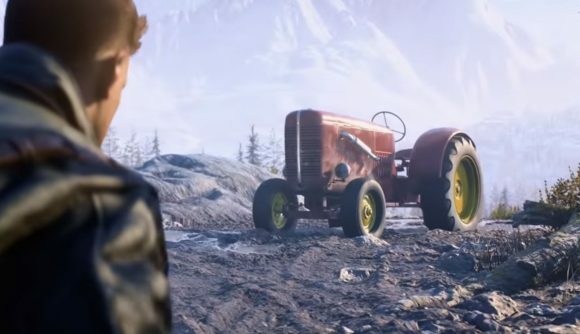 Eagle-eyed fans may remember back in November when Criterion dev Arthur Rohart mentioned the possibility of killing Firestorm players with the tractor, and it looks like dreams of agricultural murder are coming true. Firestorm is a Chapter 3 update, but we’ve got Chapter 2 before that – which starts this week. On January 17, that means a new set of weapons including the Zk-383 SMG, the Modele 1944 semi-auto rifle, and the M1922 MMG. We’ve also got a new 8v8 Squad Conquest mode for small-scale battles, which will last until January 30. A new Grand Operation hits the Panzerstorm and Arras maps in February, available in Airborne, Breakthrough, and Rush modes. And yeah, Rush mode is coming back, too – for a limited time running March 7 through March 20. We’ve also got a new co-op mode in Combined Arms, which starts in February. Check out some of what to expect in the new trailer above. You can find more details in the full patch notes. Those notes also include details on the latest TTK changes that DICE has been working on. Battlefield V’s Tides of War roadmap only continues through March’s Chapter 3 – whatever’s after that remains to be seen.